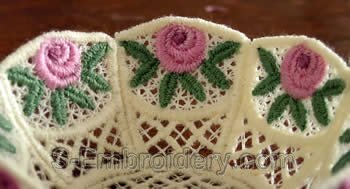 A small and elegant free standing lace wedding basket machine embroidery design. Ideal to give as memory to the guests of a wedding. 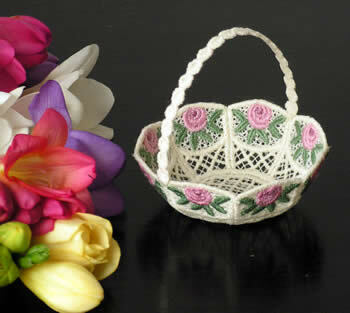 Buy the SKU 10237 Free standing lace wedding basket set No2 and save 50%.